The Vue21 apartment property sold for the highest total sales price and highest per-unit price ever achieved for a multifamily asset in Colorado Springs. It’s a sale for Colorado Springs’ record books. 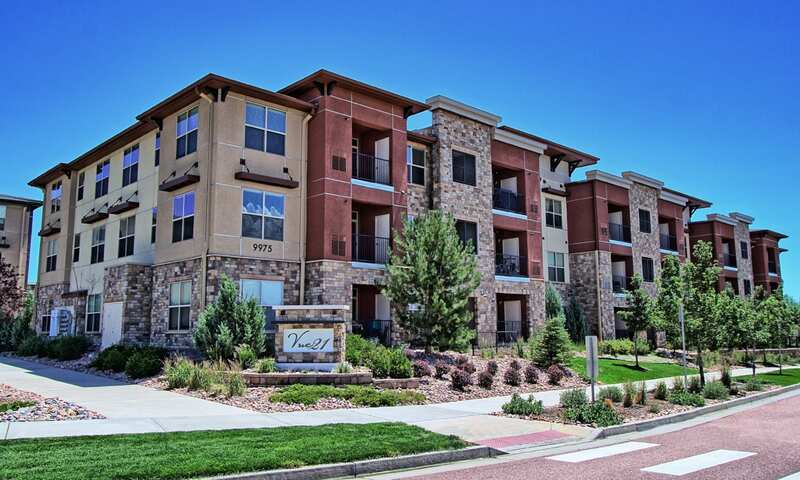 Ohio-based White Oak Partners, a private real estate investment firm, purchased the Vue21 apartment property for the highest total sales price and highest per-unit price ever achieved for a multifamily asset in Colorado Springs. According to public records, White Oak Partners, under the name WOP Vue21 LLC, paid $77.6 million, or $240,993 per unit, for the 322-unit community at 4610 Nautilus Peak View in its first Colorado purchase. “Vue21 is one of the most unique properties in Colorado Springs – a Class A, well-located asset with good demographics in the path of growth and with immediate rent upside,” said Kevin McKenna of ARA Newmark, who, with ARA’s Saul Levy, represented California-based Passco Companies LLC in the sale of the asset. While he declined to comment on the pricing of the transaction, McKenna noted the asset was highly sought after by investors – receiving close to 15 offers – due to the age of the property and its location. “The 2009-built property’s finishes, Formica countertops and black appliance packages, make it a great candidate for a targeted renovation program. However, with floor plans averaging more than 1,000 square feet, 9-foot ceilings and the islands in every unit’s kitchen, the asset can easily compete with newer assets,” he said. Additionally, Vue21 is located within the master planned Cordera development, which has demographics – six-figure incomes and high-end homes – and is walkable to nearby retail such as Target, King Soopers, Lowe’s and Lifetime Fitness. UCHealth Memorial Hospital North and the Children’s Colorado Hospital, set to be complete this year, are located across the street from the property, which is within Academy School District 20. Likewise, the property benefits from little multifamily construction over the past 10 years as high construction costs and limited labor keep the supply of new apartments in check. Vue21 had stabilized occupancy at the time of sale. The community, which features one-, two- and three- bedroom units, includes spacious walk-in closets, full-size washers and dryers, private balconies and options of attached or detached garages. The community also includes a resort-style swimming pool with mountain views, a fire pit, gas barbecue grills, a modern clubhouse, a large fitness center, a guest suite and a dog wash.
“Vue21 is an excellent property in an irreplaceable location,” said Jeff Olshan, senior vice president, multifamily investments, at Passco. “We recognized the potential of the asset when we acquired it nearly five years ago, due to the property’s Class A features and position in a submarket experiencing strong employment and population growth. During our ownership, we strategically increased the value of the asset and recognized that now was the right time to sell,” he added.